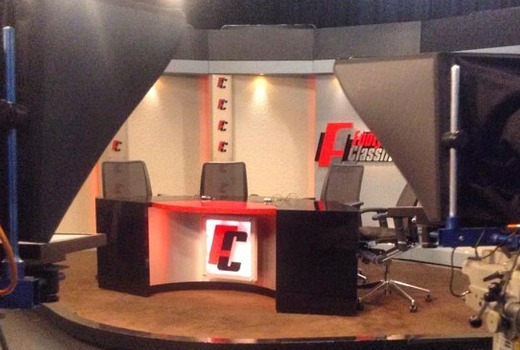 Footy Classified returns for its tenth season on Monday night, but without resident host Garry Lyon. Nine had previously advised Damian Barrett would steer the show, while Lyon addresses personal issues. With an expert panel including award-winning journalists Caroline Wilson, Craig Hutchison and Damian Barrett, along with Essendon great Matthew Lloyd, no important issue on or off the field will go unnoticed. Richmond skipper Trent Cotchin will make his “hot seat” debut as he addresses the Tigers’ disappointing 2015 finals failure and their high expectations going into the new season. Also returning this year are the favourite Footy Classified segments, Good Call, Bad Call and Caro’s Arrow. It airs at 10pm Monday on Nine in Melbourne, Adelaide and Perth, with Live Streaming on 9NOW for other cities. Whats the bet that “She who shall not be named” will spend 45 minutes talking about Essendon? I know , who you mean by “she” Matthew Lloyd, LOL..
And it’s still being shown in Syd on Gem , this Tuesday morning at 12.30am . The essendon talk just needs to stop altogether. Does that mean it’s not shown late on Gem for Syd and Bris? I have it down for 12:30 am for Syd and Bris aesthetic.